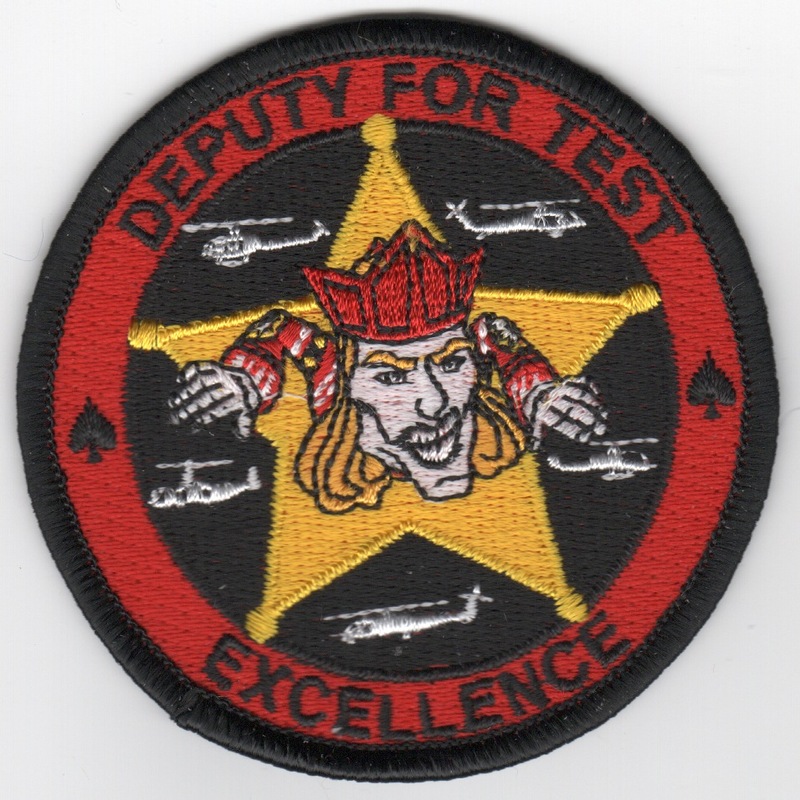 This patch shows a "Jester-head" on a Sheriff badge with helicopters in all the blank spaces around the badge. I don't know the story behind this one, and it does not come with velcro attached. 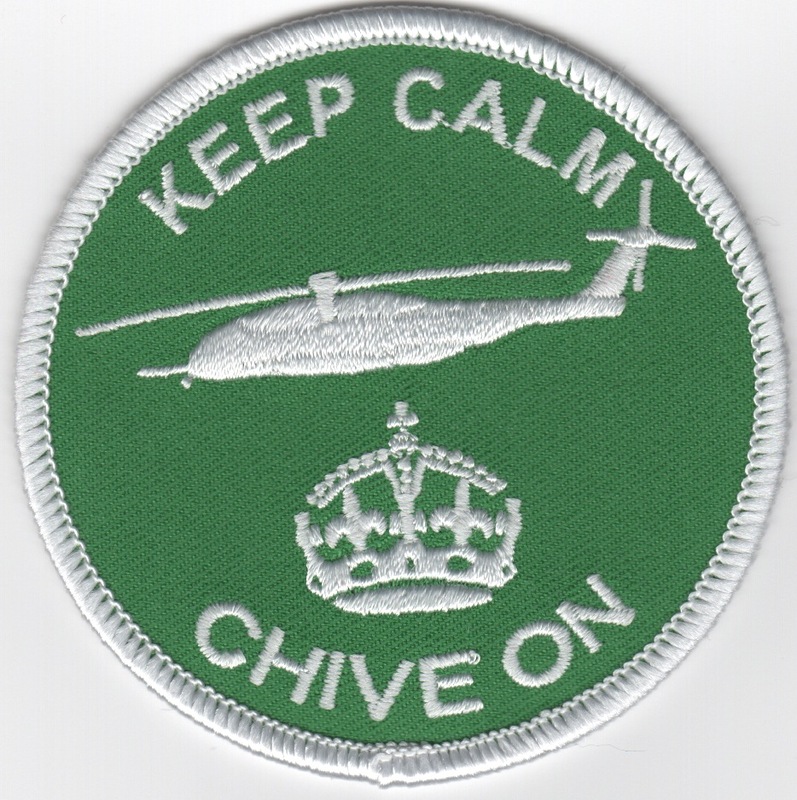 One of the most famous patches in the Helo community....it's BAA-AACCKK!!. This patch does not have velcro attached. 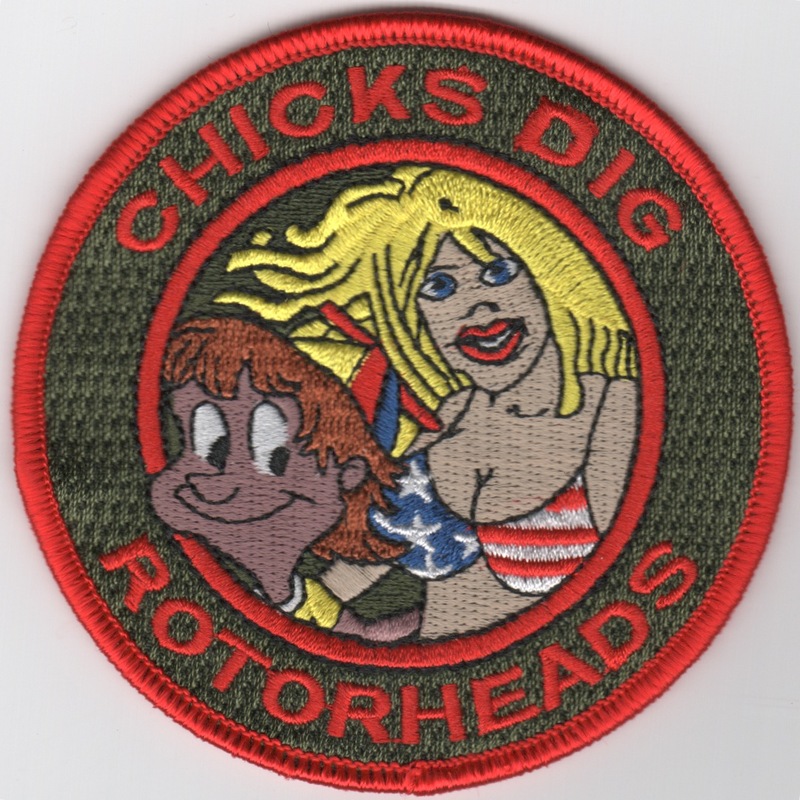 Another of the most famous patches in the Helo community. This patch does not have velcro attached. 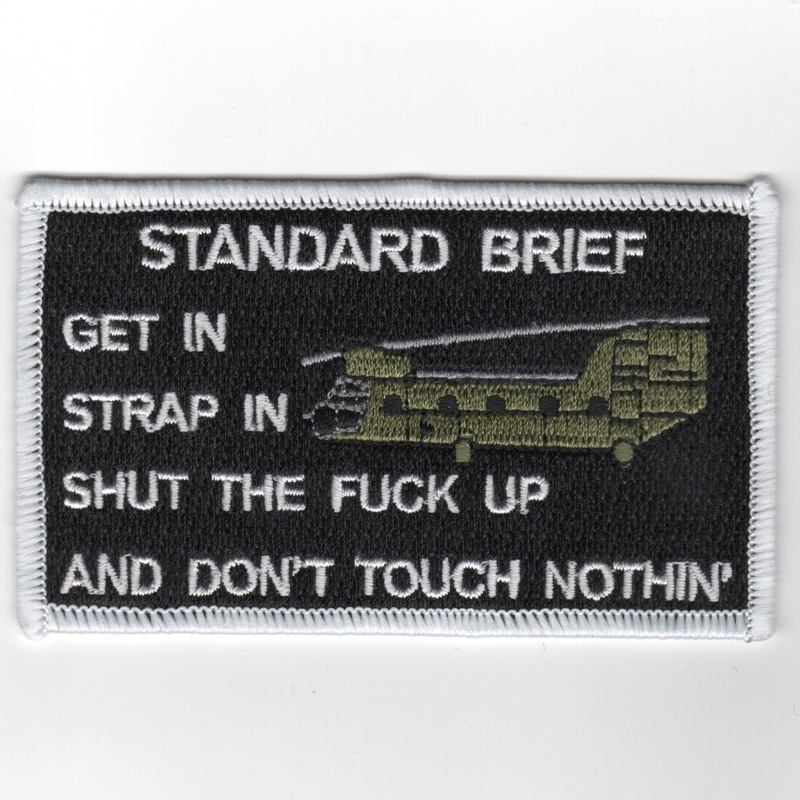 This is for the "Set of 3" most (in)famous patches in the Helo community. These patches do not have velcro attached. I don't know what this patch is for....I came across it with a supplier and it shows a helo at the top with the "English Crown" (I'm assuming) at the bottom, but I don't know what it means. 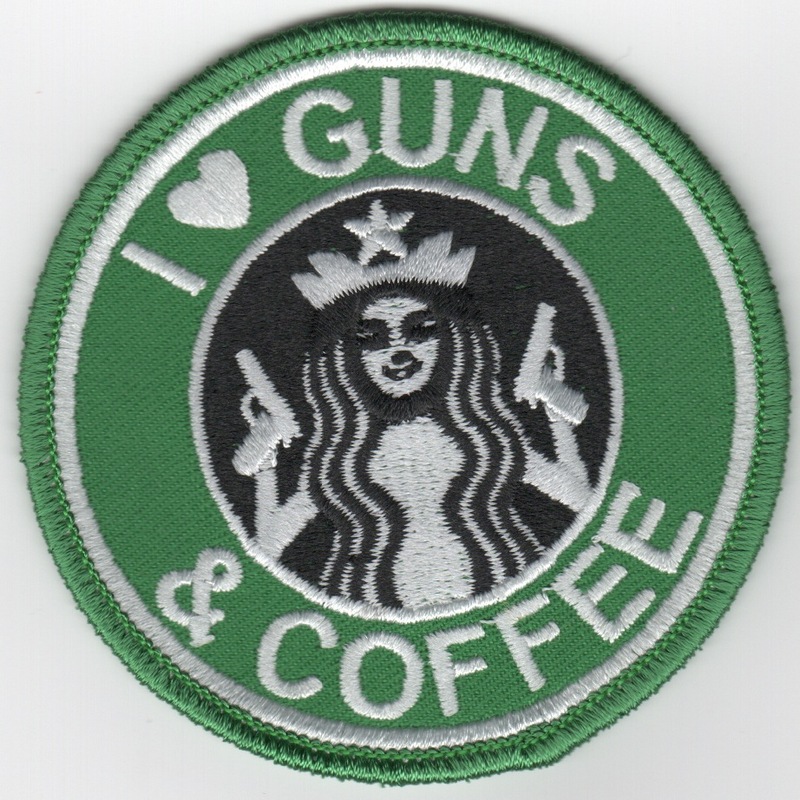 I don't know what this patch is for either....I came across it with a supplier and it shows the Starbucks logo girl holding 2 automatic pistols. 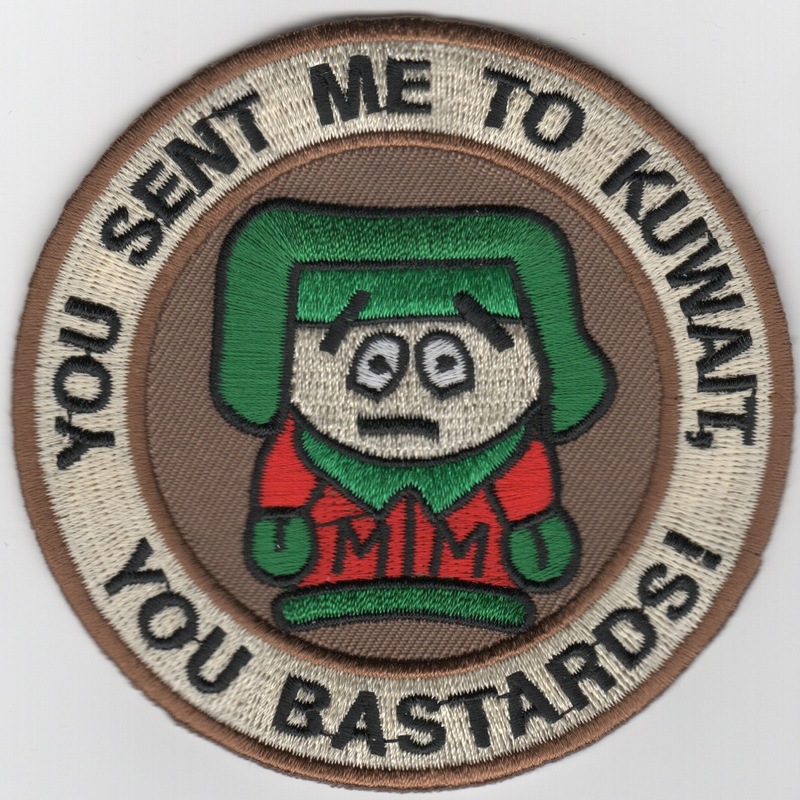 It's a "helo squadron-related" patch, but I don't know which one. 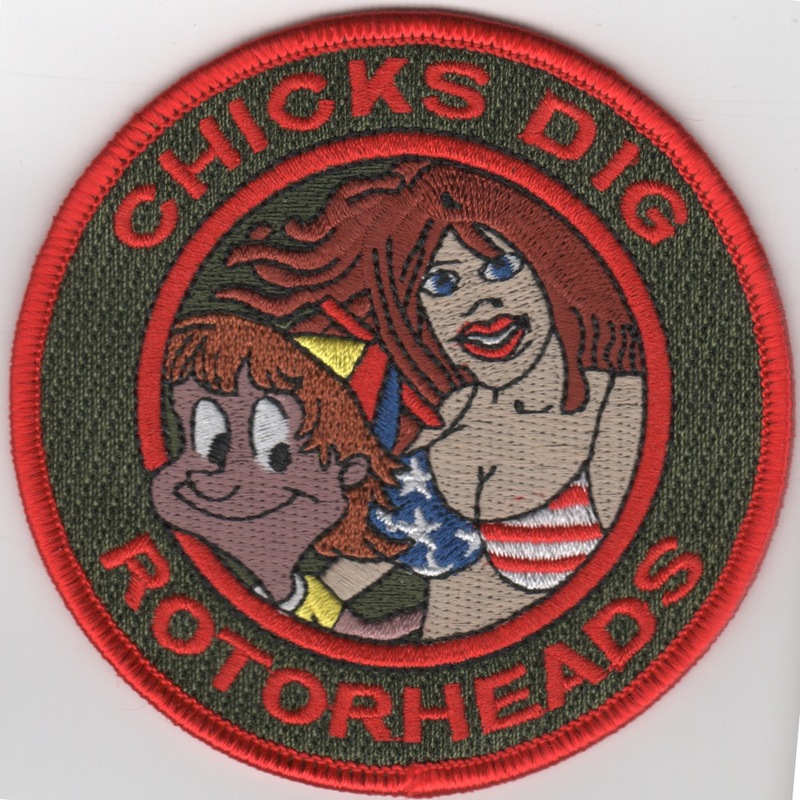 This is a patch we had done for a customer of ours. 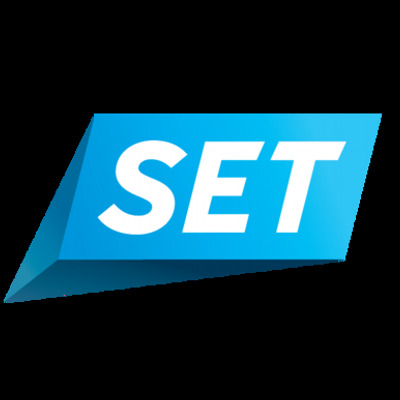 It is given or used for vistors or PAX riding on the helicopter. It's very true. You get the folks in the helo and don't want them to touch anything and not say a word. This patch does not come with velcro. This is the yellow/black version of the Marine Air Weapons and Tactics School "HUEY" patch. They use the Hueys for the exercises in which they participate. I believe they are located as MCAS Yuma, AZ. 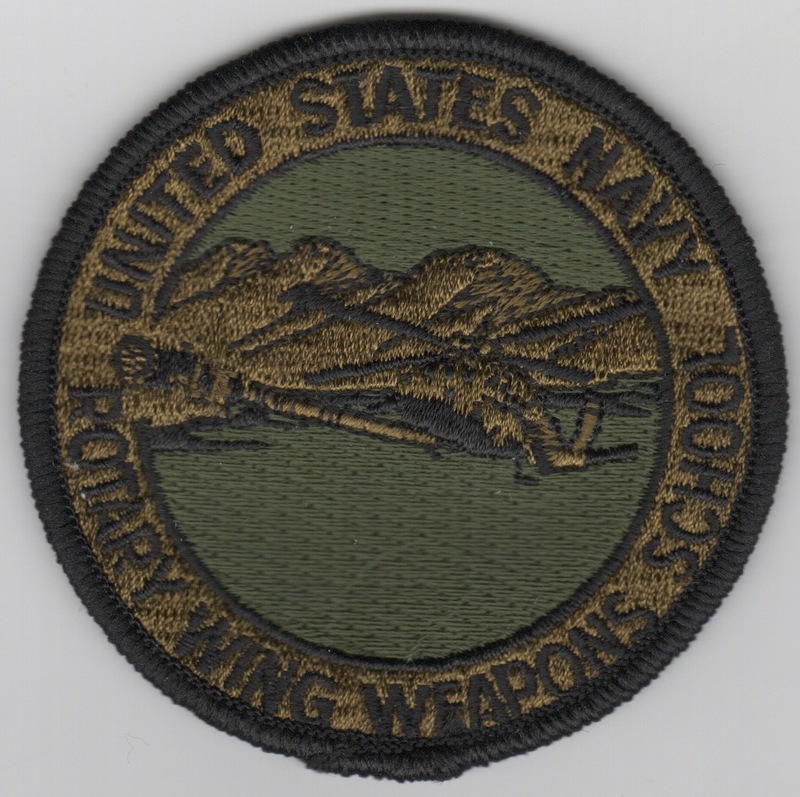 This is the silver/black version of the Marine Air Weapons and Tactics School "HUEY" patch. They use the Hueys for the exercises in which they participate. I believe they are located as MCAS Yuma, AZ. 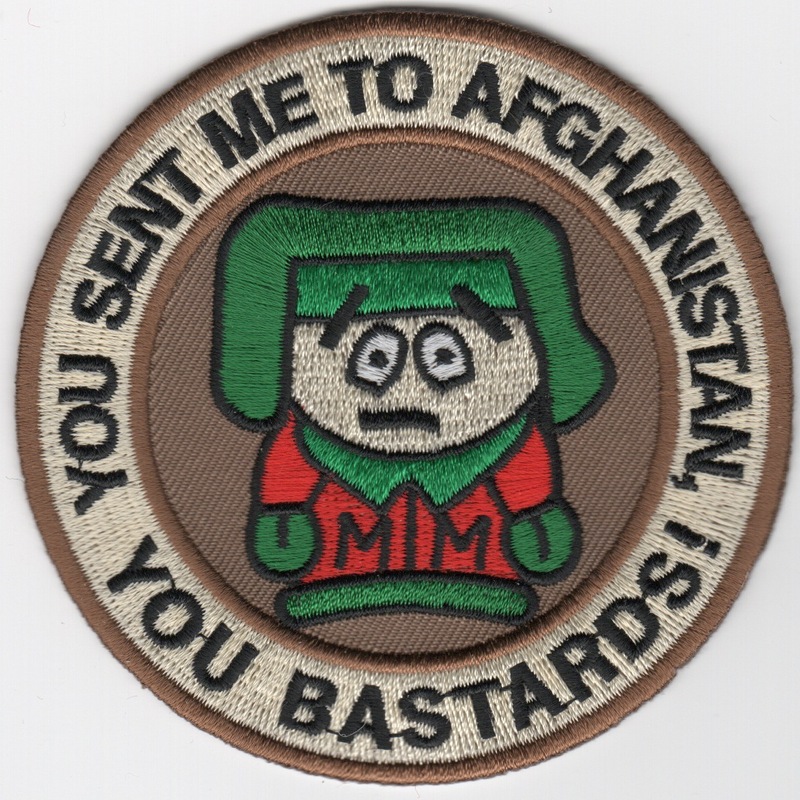 This is the small version of the helicopter patch for the USMC AH-1W 'Supercobra'. This patch DOES come with velcro already attached. This is the medium version of the helicopter patch for the USMC AH-1W 'Supercobra'. 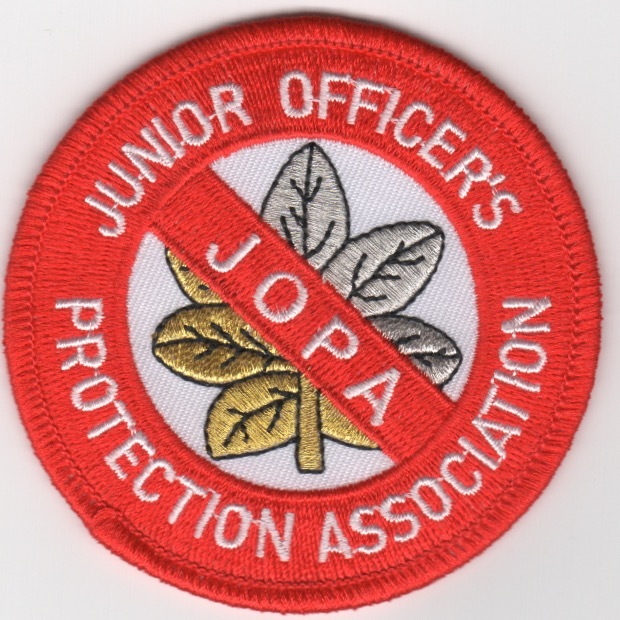 This patch DOES come with velcro already attached. This is the subdued version of the a/c bullet patch for the USN Rotary Wing Weapons School. This patch does not have velcro attached. 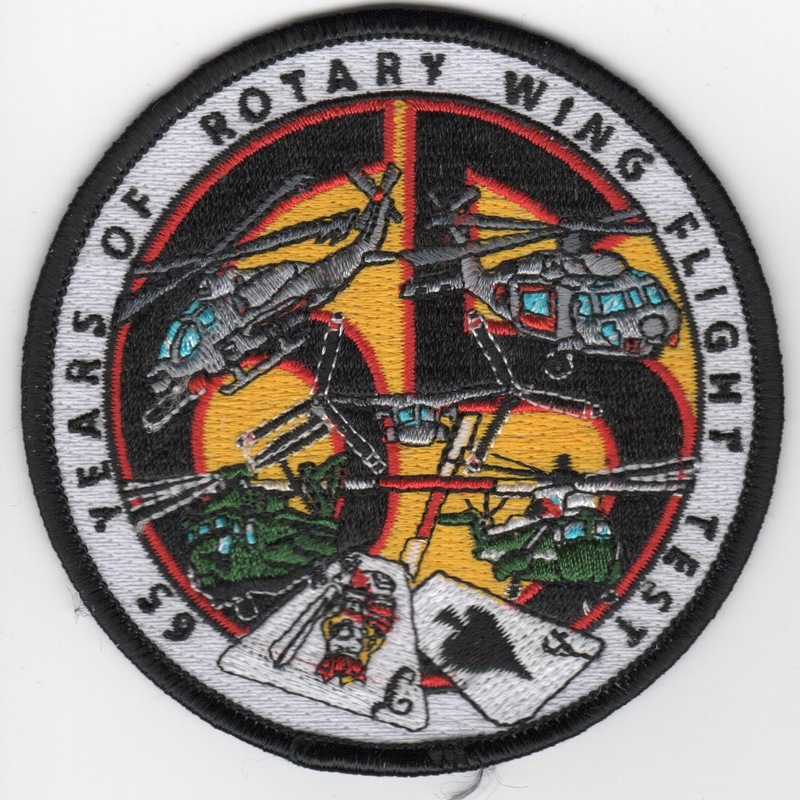 This is the '65th Anniversary of Rotary Wing Flight Test' patch created to commemorate their milestone. This patch does not have velcro attached. 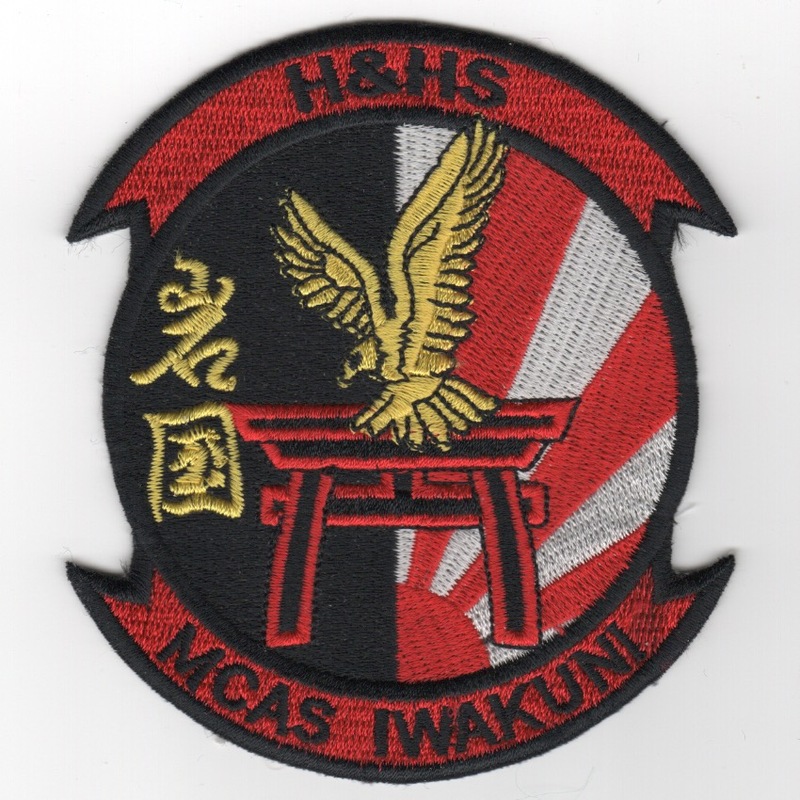 (Korean): This is the command patch for H-n-HS Helicopter Depot at MCAS Iwakuni. 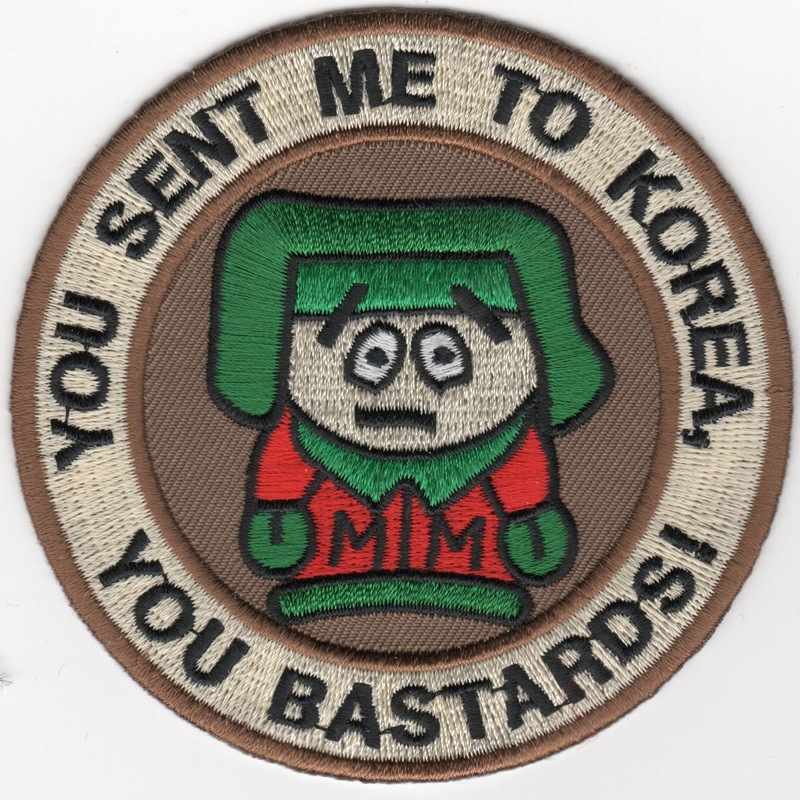 This patch was found in a Korean embroidery shop in limited quantities, and does not come with velcro attached.